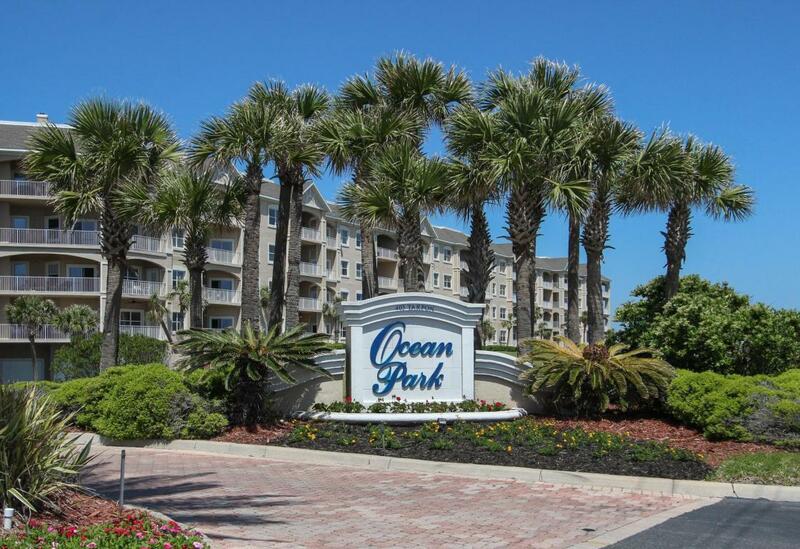 Move yourself into this ocean view condo, & easily immerse yourself in all that Amelia Island has to offer! Convenient Main Beach location, adjacent to Fort Clinch State Park. Historic Downtown Fernandina Beach is close by with many great restaurants & charming shops. Easy to maintain tiled foyer, kitchen, & baths; & wood look laminate flooring in the living/dining areas & master BR (means more time to enjoy island life). Watch the sun rising over the Atlantic Ocean while drinking your morning coffee on your private non-slip pebble floored balcony. Custom shelving in the MBR closet will keep your outfits organized. This 3 BR unit provides privacy for guests. In addition to your laundry room, your outside storage room contains a chest freezer, AND there is an OVERSIZED garage, too. Thecomplex offers an incredible pool with spa, outdoor grilling area, & a community room. What a perfect place to start each day! Ideal for full time residence, 2nd home or rental property.